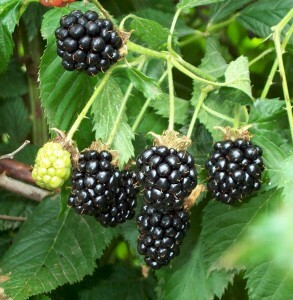 Blackberries have not been an easy find this summer. 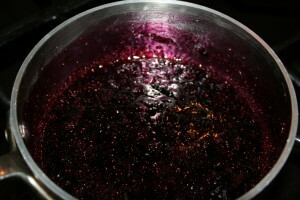 And when we finally did come across them, it became urgently necessary to make ice cream. What we ended up with was a new twist on our peanut butter and jelly. Made a quick jam with the blackberries. Hopefully with most of the gnarly little seeds strained out for the love of your teeth. 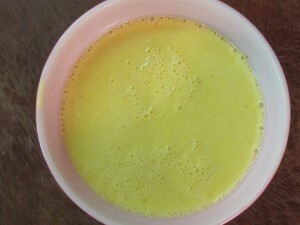 This will go into the ice cream both incorporated into the batter itself, as well as thick ribbons and pockets of it hidden in the finished product. For the nutty side, we roasted cashews over fire until they were just a bit charred to pair with the blackberries. 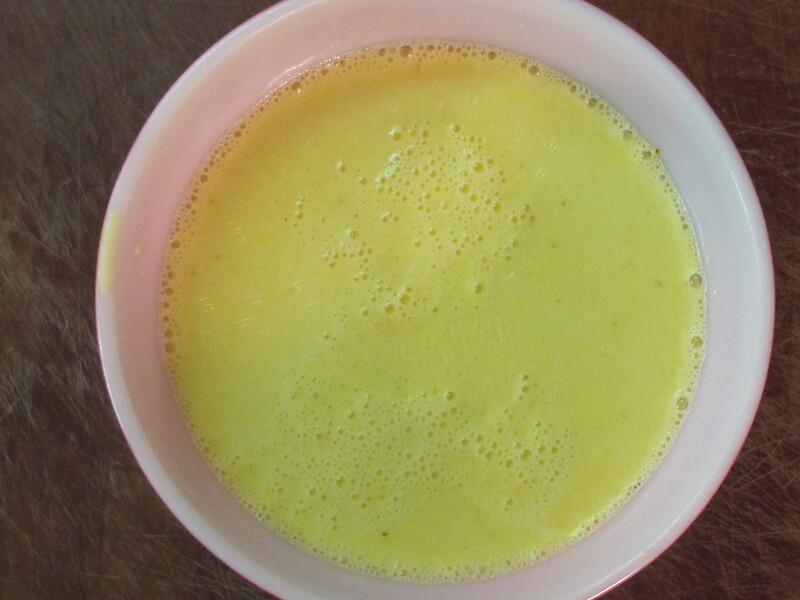 Lastly, Buttermilk was added to the batter to give it some extra love and a little sourness. 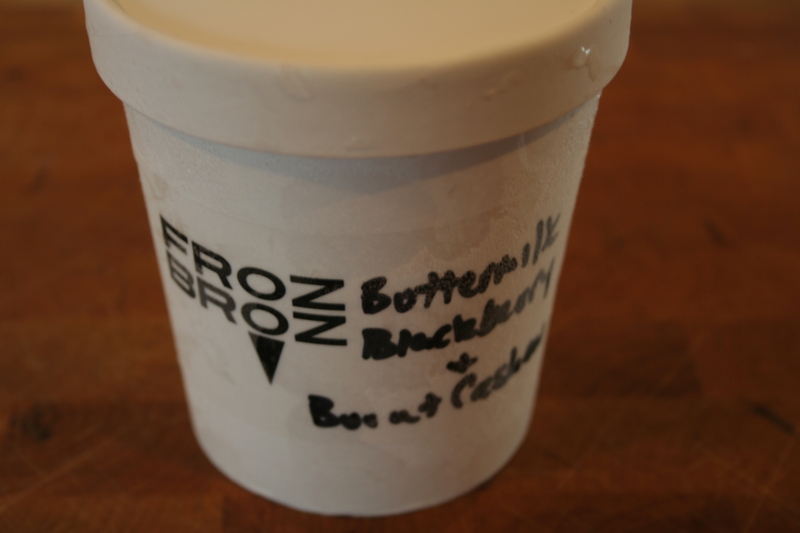 You can win one of two available pints this week, leave a comment on our facebook page at facebook.com/frozbroz to be entered into the drawing. 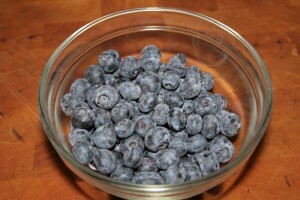 If you don’t have a facebook account, make your comment right here on the blog. We’ll draw two winners later this afternoon and will announce them on our facebook page. Our only condition is you must be able to pick it up. Good luck! Yeah it’s true, most ice cream shops have mixed a lavender honey ice cream. If they haven’t, they should. 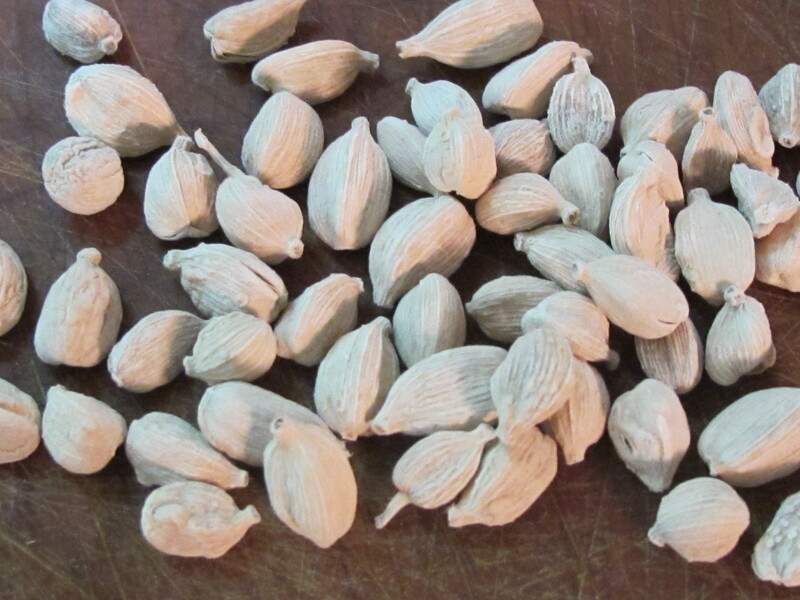 It makes perfect sense that the floral nose of lavender would pair well with the sweet nectar of the honey bee, but what about the pistachios? They work too! Pistachios almost have a floralness of their own, and when churned up with the lavender and honey – ménage à trois. We use a few different processes of extracting flavor from lavender, but for this one, we steep the leaves in cream for an herbaceous finish. 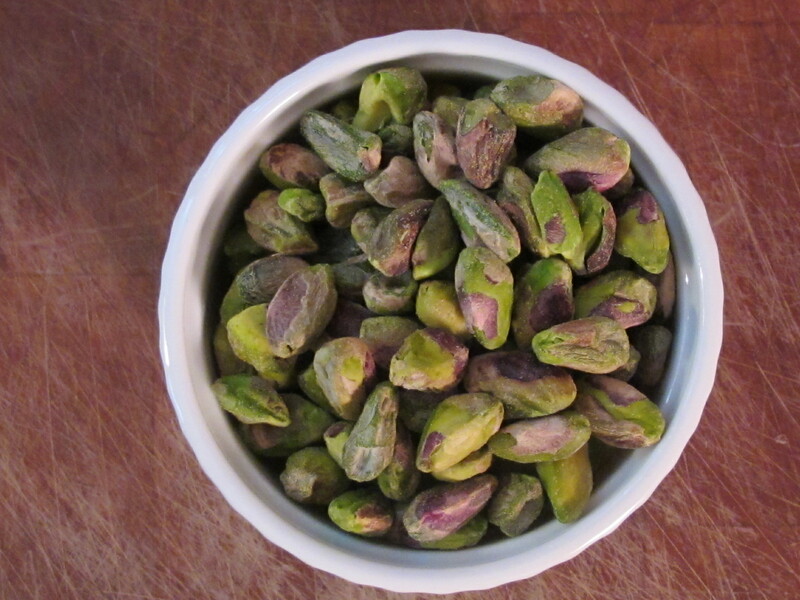 We use whole shucked pistachios. 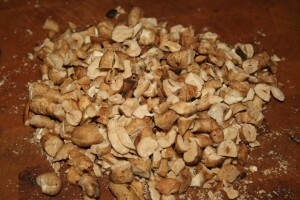 Roast ’em and give them a heavy grinding. Pistachios are one of those nuts that when left whole and froze – bust-a-tooth. We’re ice cream mix masters, not dentists. 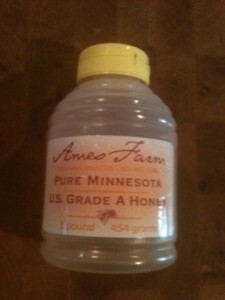 Honey from Ames Farm in Watertown, MN – the bomb! It’s in there. 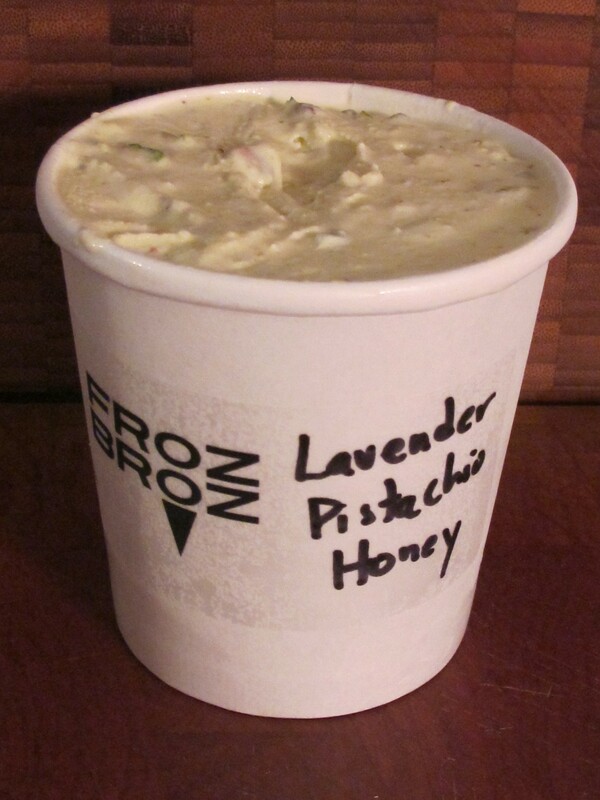 This is it – FrozBroz style Lavender Pistachio Honey. No Dentist required. 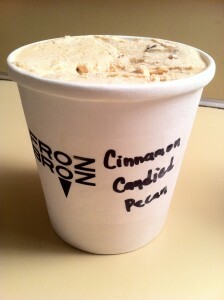 To win one of two pints this week, leave a comment on our facebook page at facebook.com/frozbroz to be entered into the drawing. 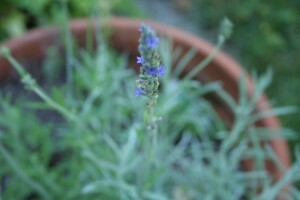 If you don’t have a facebook account, make your comment right here on the blog. We’ll draw two winners later this evening and will announce them on our facebook page. Its National Ice Cream Day! In celebration, we’re releasing a second flavor this week. 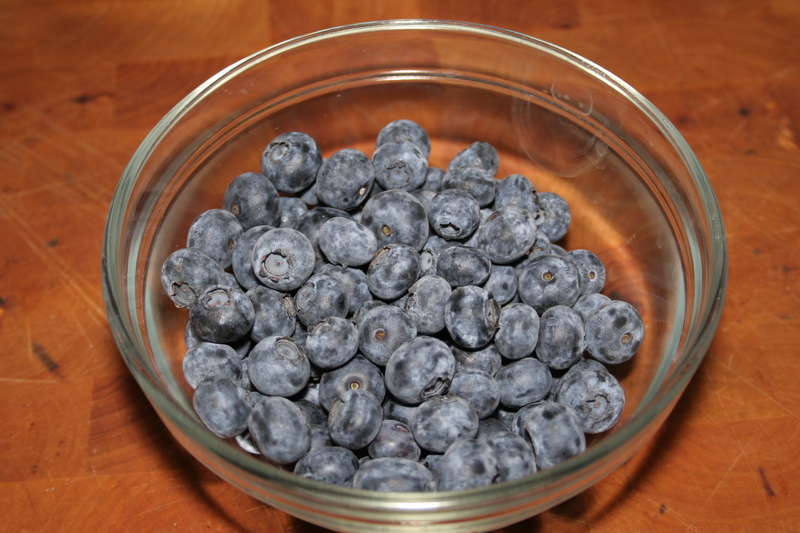 Peak blueberry season. Yeah! You can buy them all year long, but like tomatoes, nothing compares to straight off the plant. 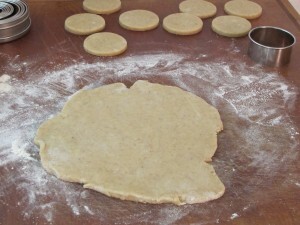 Maybe its just us, but we can’t help thinking, these would be good with vodka, no? 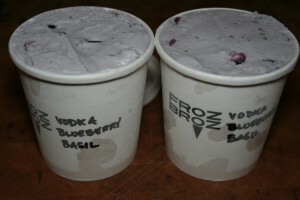 Problem is, its not easy getting alcohol into ice cream without seriously disrupting the final product. 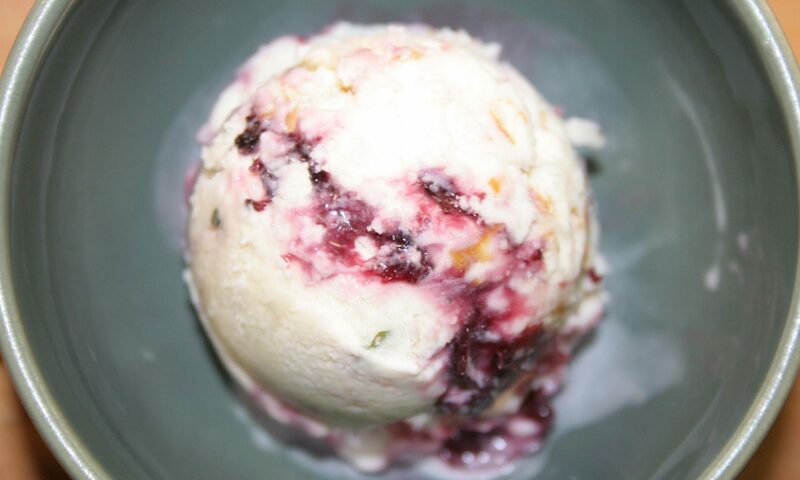 However, alcohol does provide one big benefit to using incorporating fruit into ice cream – if the fruit is soaked in it for long enough, it displaces the water in the berry and keeps the fruit from turning into an icy rock. 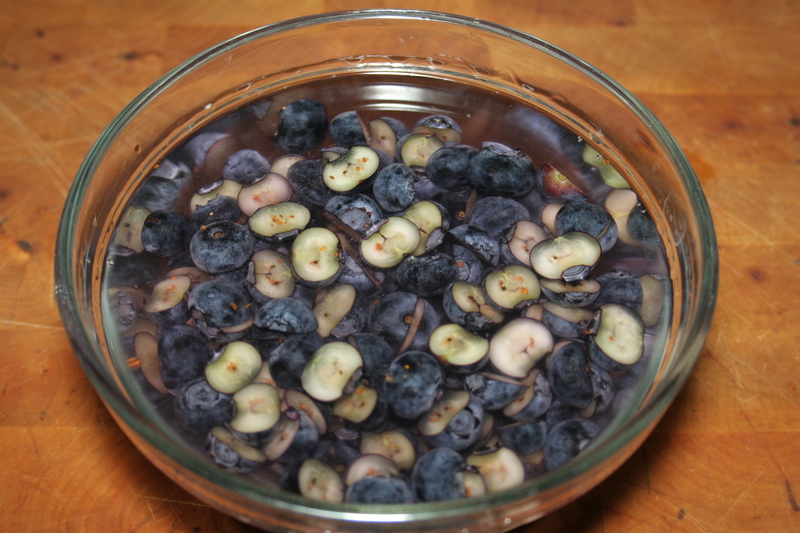 So we gave these big blue babies a nice long vodka bath. 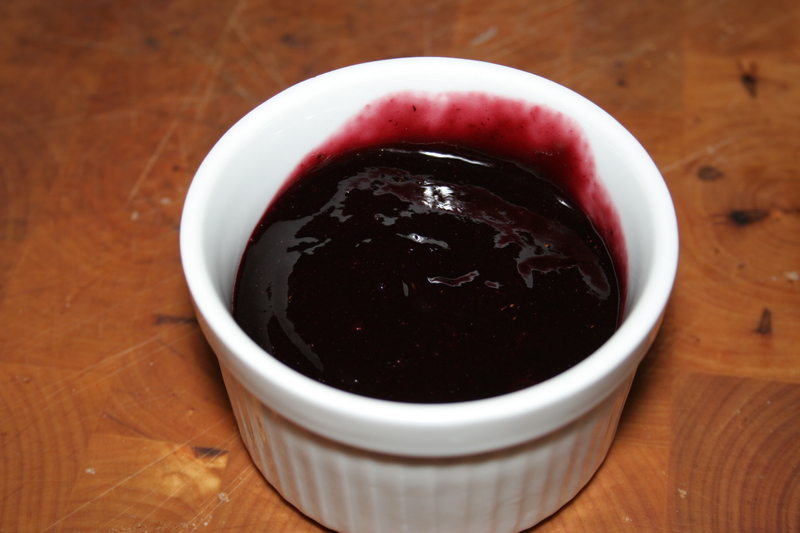 An added benefit: this steeping process leaves us with some tasty blueberry vodka to enjoy over ice while we finish making the batch. 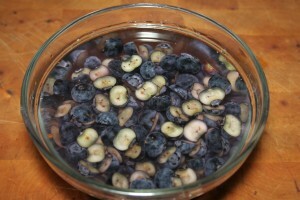 To add some more powerful blueberry flavor, more blueberries were reduced into a syrup, with some of that blueberry vodka and sugar. 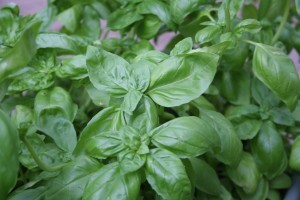 Finally – to round it out..some fresh basil from the backyard. The end product is a blueberry cream cocktail – little blueberry bombs full of vodka, floating in blueberry and basil ice cream. 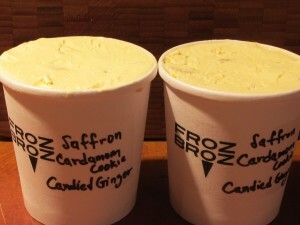 After a heavy night brainstorming flavors, we decided that we definitely needed to rock a saffron ice cream. 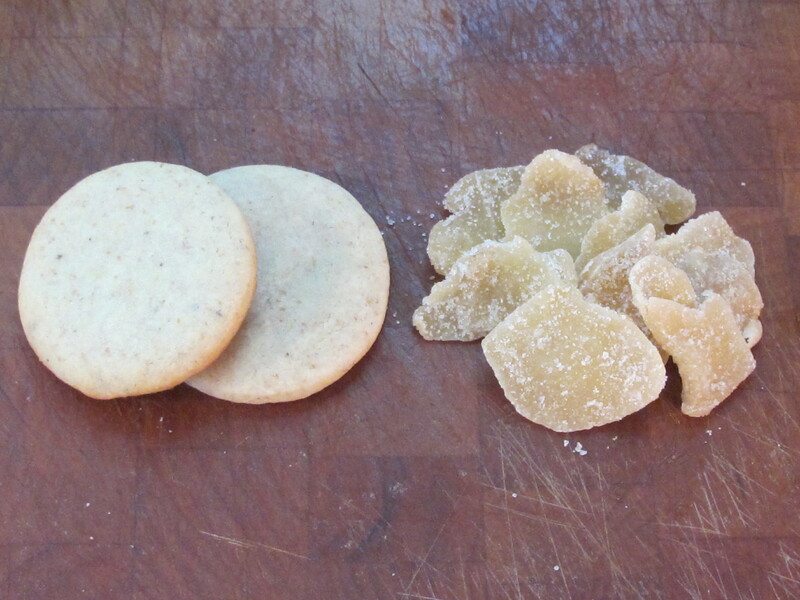 With a little research and contemplation, our likeness came together as this: Saffron Cardamom Cookie Candied Ginger. 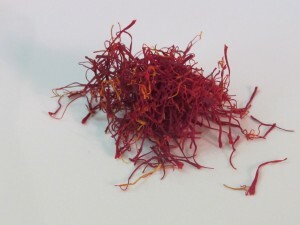 Spanish Saffron – This stuff goes for over a $1000.00 a pound. These Cardamom Cookies and Candied Ginger make for an explosive synthesis of flavor. Especially when they’re mixed up with that yellow Saffron cream. Want one of these two pints to chow down on? Be the first to accurately guess how many times we had to make these cookies to get them right and the pint is yours. 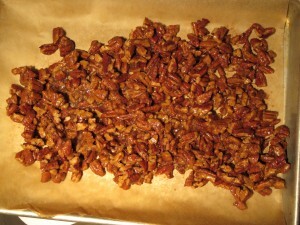 Cinnamon and pecans give me thoughts of Thanksgiving time. Although Thanksgiving is months away, we couldn’t save this one. 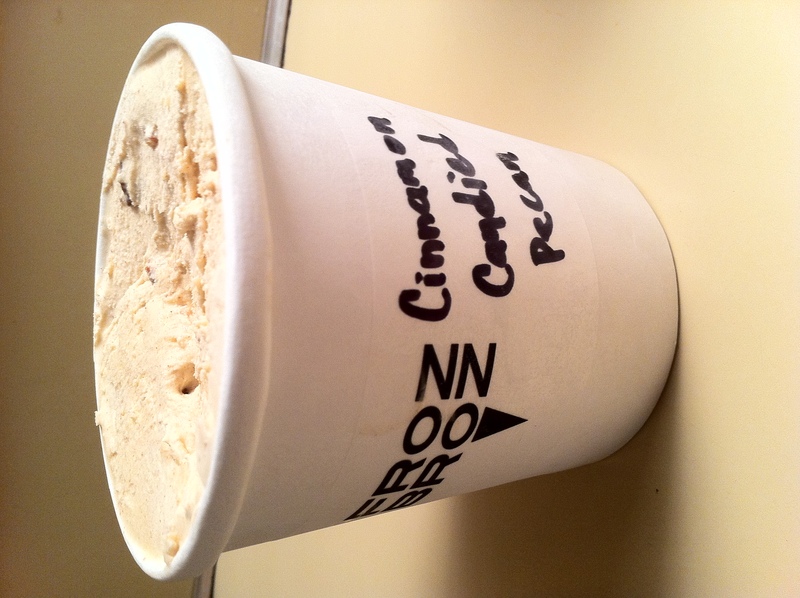 Call us crazy for even thinking about Fall flavors this time of year, but there is something to be said for cinnamon’s warming spice incorporated into the contrasting coldness of ice cream. 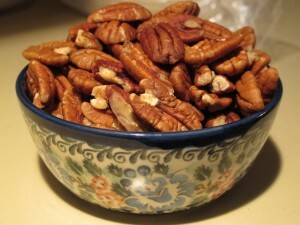 Candy some pecans and these Autumn flavors are bang’in in summer. We start with whole organic pecans. Roast em and toast em. Is this one too obvious? It’s cinnamon. 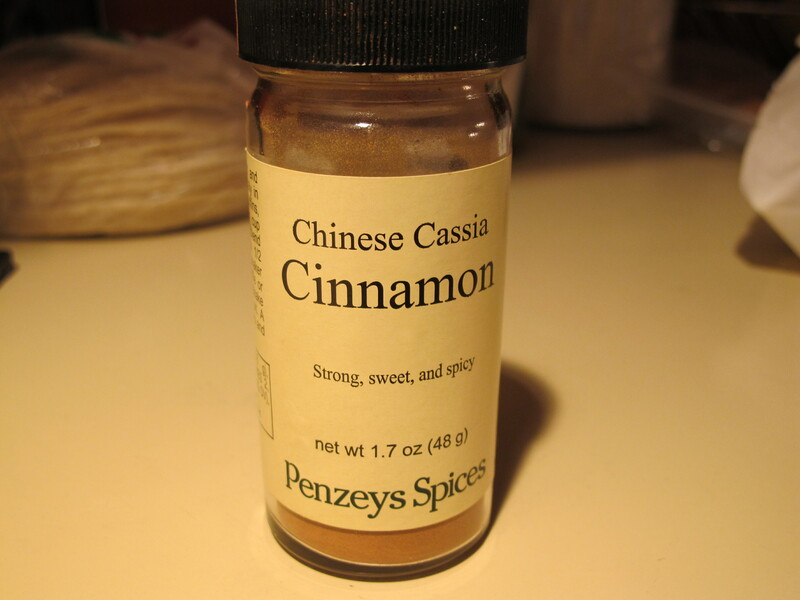 And not just cinnamon, Cassia – the best cinnamon there is. This stuff can help manage your blood sugar levels, keep your arteries healthy and lower your cholesterol. 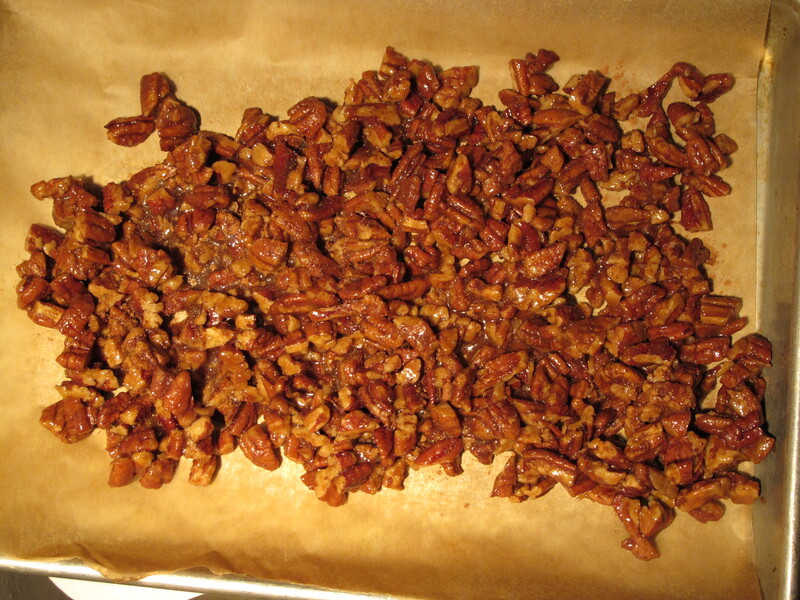 To win a pint from the blog this week, be the first to accurately guess in the comments section how much cinnamon do we put into our two quart batch of Candied Cinnamon Pecan?